If you used to carry two mobile phones but would like to have the same solution with only one handset on hand, now Samsung has an alternative solution so that users can conveniently enjoy wider coverage without the need to carry two mobile devices while on the move. Known as B5702, it is a dual-sim supported mobile phone that offers effective means of communication through independent service provider simultaneously. The B5702 handset is quad-band capable so that it can used across different geography locations. Besides, users are allowed to customize different themes, screensavers and ringing tones for each sim card so that they are aware of which incoming calls targeted for specific mobile line without much confusion. To make the line switching simple, there is a side button that toggles between both lines instantly with only a single button press. 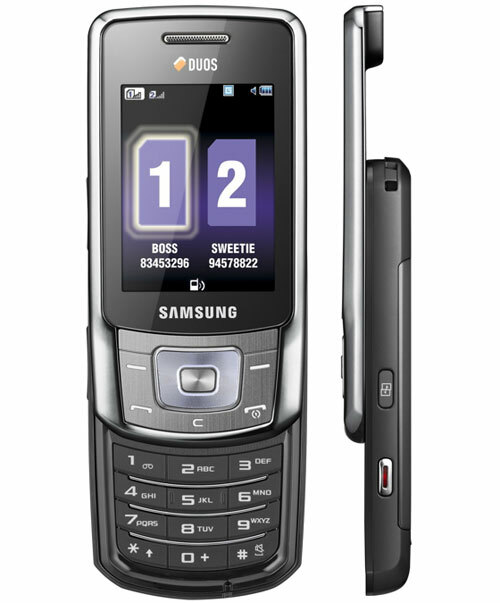 Some other feature sets include FM radio tuner, 3-megapixel integrated camera, Bluetooth 2.1, a 320X240 resolution screen with 50MB internal memory as well as expansion micro SD slot with up to SDHC 8GB support. The Korean mobile phone maker intends to launch this model in May and at a retailed price of $415, it could be a bit pricey but if considering its dual-sim and full band capability, it is worth the price since you only need one mobile device instead of two that you used to carry along while traveling overseas.